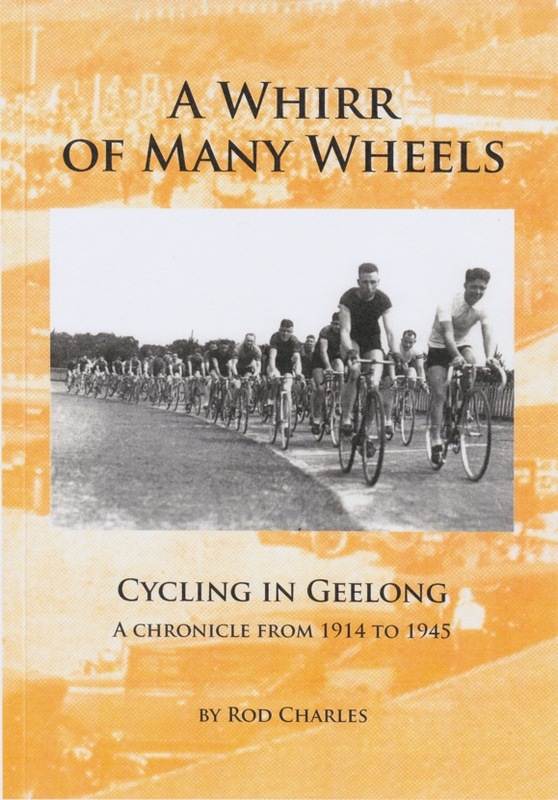 Volume 2 of Rod Charles’ trilogy of cycling history in Geelong covers the period from 1914 to the middle of 1945. Two world wars bookmark a period of rapid growth and rehabilitation and a period of economic depression. During this time the bicycle maintained it’s general use by most people. Hubert Opperman and Bruce Small under the malvern Star banner stand prominent in racing, in record setting, and in promotion of cycling generally. In Geelong, the Drome carnivals of Mick Hede and Eugene Cowley focus attention on Western District racing.The professional Geelong West club is joined by amateur clubs throughout the district and by the end of the Second World War, women are racing in Geelong. Touring becomes noteworthy and Bike Hikes are precursors of later mass rides which are recorded in Volume 3. Volume 2 comprises 452 pages and 617 illustrations. Volume 2 can be purchased from the Author at a cost of $60 plus postage.